Welcome to my little posting service, I am offering your forum the best forum boost packages for cheap! I will post 10 quality posts that will be engaging and boost traffic and posts on your forum. 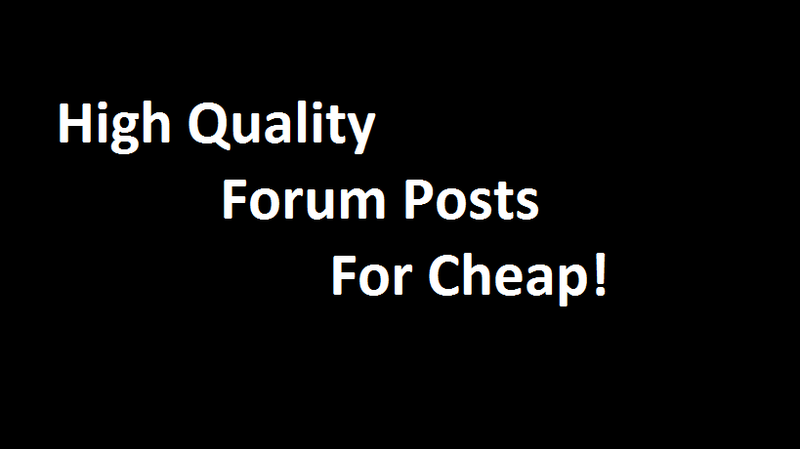 Post 10 quality posts on your forum is ranked 5 out of 5. Based on 2 user reviews.